Birds are chirping, flowers are in full bloom and it seems like everyone is itching to go outside and replenish their skin with some much-needed Vitamin D. That’s right, spring is here! And, in the spirit of the ever-relevant spring mantra “out with the old, in with the new”, a lot of us use this time to do our spring cleaning, redecorate our homes and gardens and give our wardrobes a makeover. Why not do the same to your hair as well? If your winter ‘dos were just an endless array of hat-friendly styles and messy buns, then your hair might also be aching to be revamped. Luckily, current hair trends are diverse and plentiful – from long, luxurious locks to shaggy chopped ‘dos and just about every style imaginable in between. Recent hair trends have seen a massive rise in popularity of cropped styles. From fashion runways to red carpets, it seems like everyone and their grandmas decided to chop their locks into stylish bobs, lobs and pixie cuts. Naturally, with every action comes reaction, so the most recent hair tendencies have involved growing your hair to Rapunzel-like lengths. And, unlike the overly done, glam locks and waves of the early 2010s, the new thing is to go as natural as possible. 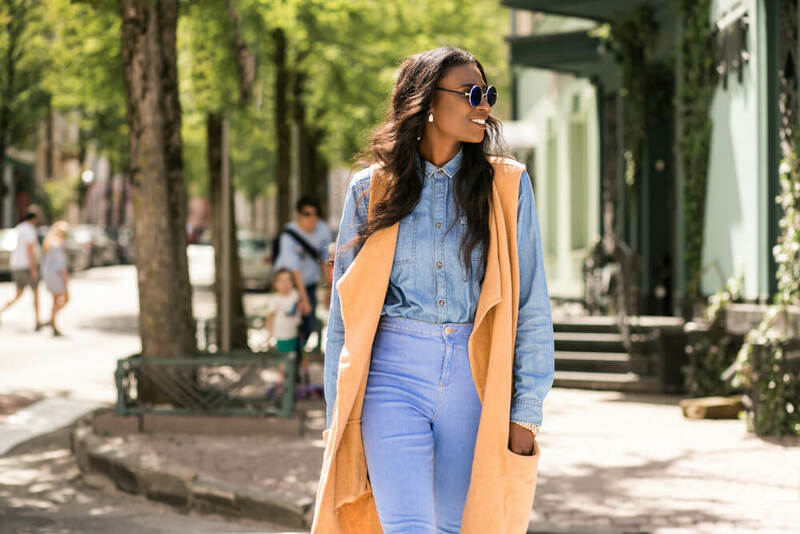 Of course, not everyone is blessed with hip-length hair, so if you’re itching to rock this trend without having the strands for it, you can always look into getting natural-looking hair extensions. On the other hand, if you already have long, luscious lock, then you’re in luck – this kind of ‘do requires minimal styling! Start off by shampooing and conditioning your hair to eliminate frizz. You want the nonchalant look without looking too messy. Next up, apply a lightweight mousse along your strands then blow dry your hair or let it air dry for a more natural effect. Finally, if you hair needs extra perking up, spritz it with a bit of texturizing spray and bam! Your Kardashian-esque locks are complete. This spring, serving 60s and 70s vibes when it comes to fashion and beauty is an absolute style bullseye. This, of course, includes the hair. A good example of a retro coif would be a shaggy, mid-length do with messy bangs. This fluttering style, reminiscent of retro it girls like Francois Hardy and Jane Birkin, is not only super flattering for different kind of face shapes and hair textures, it’s also super easy to style, even when in a rush. While your hair is still a little damp, apply a dollop of volumizing mousse onto your strands, focusing on the mid-sections of your hair. Use your hands to scrunch up your locks and give them extra texture, then let them air dry. With this hair ‘do, bangs are the only part that require a touch of effort: to make sure they’re styled to a T, give them a bit of volume by blow drying them with a small, round brush, then tousling them with your fingers. The ubiquitous bob has seen many different iterations in recent years – from sleek, even-length ones to messy, Bohemian chops – it seems like there is the right kind of cropped style for everyone. Perhaps this spring, you can elevate your bob to new heights and treat it to a new color. Before you decide to give your bob a makeover, you might look into finding out what is the perfect shade of blonde of you. 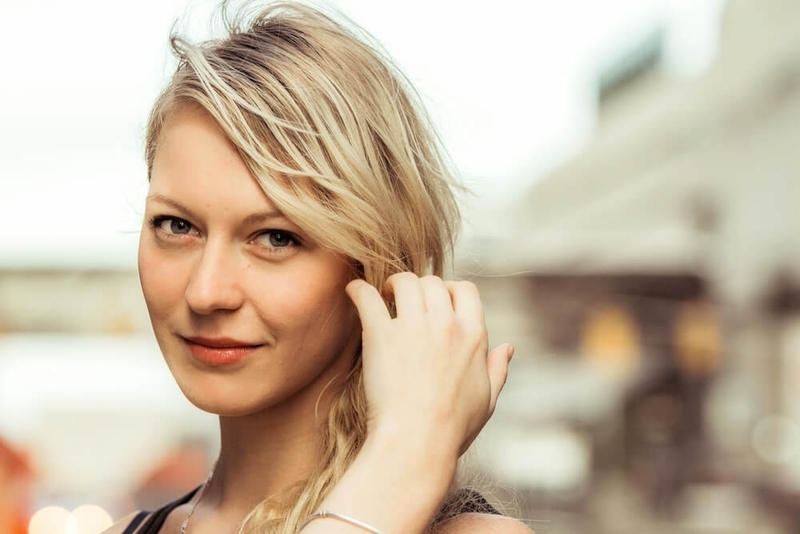 Another thing to keep in mind is keep your roots natural in case your hair tends to be very dark brown or black (this could also be a good idea if your complexion veers towards medium or deep). Not only will this look more natural and flattering, you will also look extremely stylish and on trend. To style your badass bob, shampoo and condition your hair with products designed for color-treated hair. Next, apply a dash of heat protector and curl a couple of strands in the direction away from your face. Don’t overdo it – styling your hair partially will help you achieve that messy, nonchalant look. Tuck one side of your hair behind the ear and secure it with a bobby pin. Set your hard work with a spritz of hairspray and your bleached bob look is finished! Retro doesn’t have to harken back all the way to the ’60s. As evidences by a number of models, celebrities and other fashionistas, the ‘90s-inspired hairstyles have made a massive comeback. Recent years have seen a surge in edgy, grungy ‘dos that are simply ideal for anyone looking to channel their inner bad girl this spring. 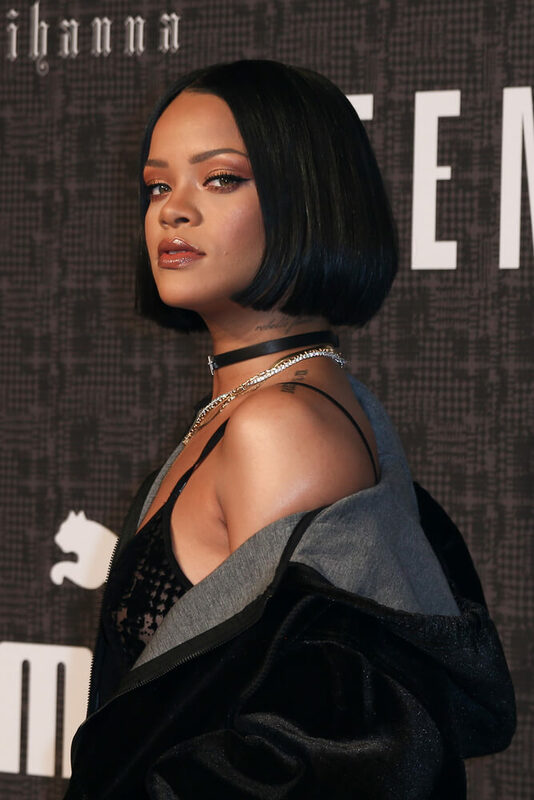 And what better way to embody your baddie persona that with a seriously blunt bob? This sleek, superbly stylish look can be rocked everywhere, from an office to a nightclub, and the best news? You can style it in practically minutes. You can begin by washing your hair and applying a product designed to make it sleeker and smoother. To achieve the inwards curve, blow dry your hair with a large, round brush, turning the ends ever-so-slight towards the face. If you’re in a rush, you can also achieve this step by using a hair straightener. Set it on low to mid-level heat and flatten the length of your hair, then twist the iron inwards and you reach the tips. Secure your ‘do with a medium-hold hairspray and you’re good to go! 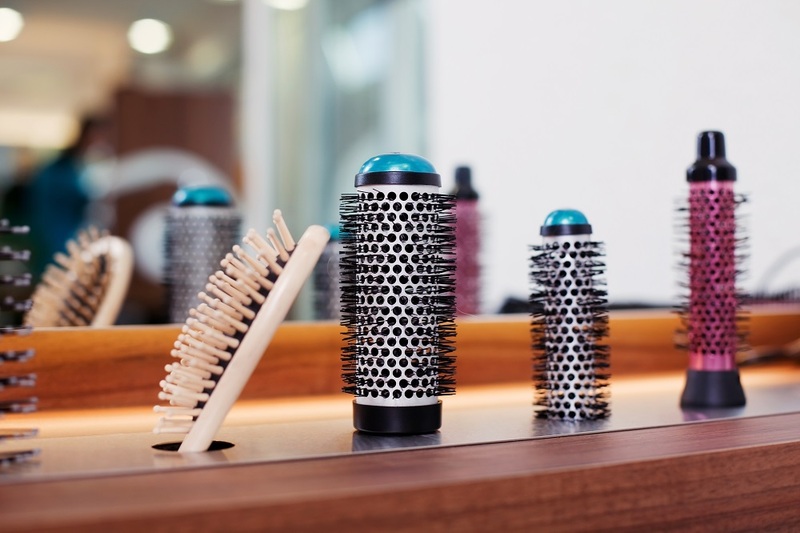 Bonus tip: if there is still some frizziness present at the roots of your hair, take a clean toothbrush or a makeup brush and spritz it with hairspray to polish the unruly hairs. So, you want to hop on the bangs bandwagon, but aren’t a fan of having your hair getting all up in your eyes? Then you might be the ideal candidate for baby bangs. Even though they might seem hard to pull of at first, these mini-bangs can actually work for any style an occasion – after all, they’ve been sported by both pin-up icons like Bettie Page as well as epitomes of sophistication, such as Audrey Hepburn. Baby bangs can compliment hairstyles of various lengths. For example, pair them up with a pixie cut and you will immediately evoke chic ‘60s vibes. On the other hand, if you’re baby bangs are an addition to a long, sleek ‘do, then you will look positively futuristic. Furthermore, not all baby bangs have to look the same. If you want to go for a more modern appearance, choose a blunt, uniformed cut. On the other hand, if you want something more casual, crop the front section of you hair into soft, wispy bangs. If you feel like your hair is in a desperate need of a makeover, but you can’t quite commit to a shorter-do, then a shoulder-length lob might be the ideal option to refresh your strands. Not only are lobs very en vogue this season, they are also universally flattering and incredibly easy to style, whether that’s for classy events, office environment or something more casual and dressed down. To nail your very own super-stylish lob, prep your damp strands with a touch of volume-boosting moose and make sure to distribute it evenly of your strands (you can use a brush or a comb to achieve this). Start blow drying your locks; to achieve even more fullness, flip your hair over your head and concentrate on the roots at the back of your head. 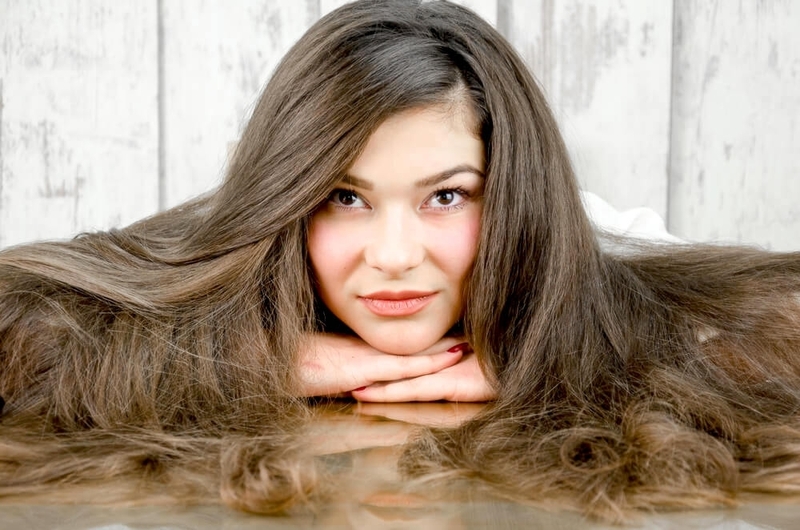 This will make your hair more voluminous and bouncy. Once it’s all dry part it on the side. For a super-chic look, go for a deep side-parting. Form loose waves by curling your strand with a wide-barrel curling iron (anything from one inch upwards should be fine). To achieve that playful, textured look, alternate how you curl each individual strand – turn one towards your face, then the next one away from it. The two strands at the very front of your face should be curled outwards. Break apart the waves using your fingers to give your do a more nonchalant vibe, then spritz your hair with a bit of texturizing spray or dry shampoo. Voila, your lob is all done! The spring is finally here and, with it, the warmer temperatures and a plethora of sunny days that are just begging you to come outside and play. Sometimes, spending prolonged periods of time in front of the mirror to achieve your perfect ‘do is the last things you want to do when the gorgeous weather outside is inviting you to come out and play. Luckily, your locks can be just as stylish and put-together if you go down the low-maintenance road. And the ideal ‘do for those who don’t want to waste their sun-laden days wrestling with brushes and blow dries is the beloved top knot. This super snatched ‘do can be achieved in minutes and it requires little other than a simple headband. If your hair is not naturally straight, you might want to put in a little more effort into styling your top knot. Smooth, pin-straight hair will be easier to work with and it will give you a more polished appearance. Once your hair has been flattened to perfection, begin brushing it into a bun, making sure no strands stick out. Tie it with an elastic hair band and use bobby pins to tuck in any mischievous strands. Apply hairspray to make sure everything stays in place and your top knot look is complete. Spring is the ideal time for making big, bold decisions. When it comes to your hair, this can mean finally chopping your locks into that stylish pixie ‘do you’ve been wanting for years. And if you still need a bit of convincing, consider this: pixie cuts require almost minimal effort. And don’t be fooled by the lack of length – pixie cuts are as fashion-forward and versatile as any other hairstyle. For example, if you want to go for the quintessential romantic pixie look, opt for a delicate coif with gelled sides and wispy baby bangs. On the other hand, you can insert punk-rock vibes into your look by brushing the front section of your hair upwards to create a stylish Mohawk-meets-pompadour. Finally, if you still want to have some body to your hair, leave your bands long and style them so they sweep across your forehead. In recent years, pastel colors have been all the rage in the world of beauty and fashion. What was once reserved only for the most avant-garde and daring style enthusiasts can now be rocked by pretty much everyone. Due to the immense popularity of pinks, lavenders and rose gold, it’s not unusual to see people sporting “unnatural” hair colors even in the most formal settings – including offices and other professional environments. That’s why you shouldn’t hesitate hitting up your hair salon if you’ve been contemplating trying out this wildly popular look. If you’re not quite courageous enough to try out more vibrant pinks and purples, you can ease yourself into it by trying out a flattering rose gold or lavender-brown shade. And if that feels like too much of a leap, you can always try out dying a couple of strands to see if you like it before committing to a full head of pastel-tinted hair. Now that you’ve learned all about the trendiest hairstyles of the season, you can finally go out and seize the sunny days with the chicest, most gorgeous coif on your head.